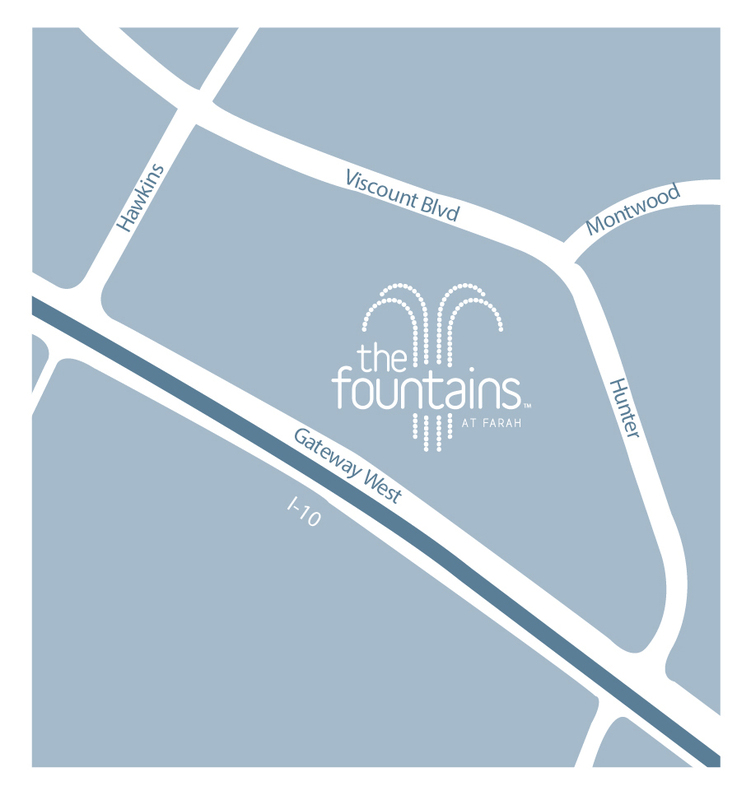 The Fountains at Farah is a regional lifestyle-shopping venue offering two levels of fresh, name-brand boutiques in addition to on-trend and mid-range department stores. 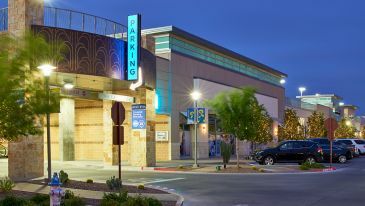 The center features a refreshing open-air atmosphere with numerous cascading water displays, entertainment venues, patio dining and covered parking. some open earlier on Friday, some will stay open later. 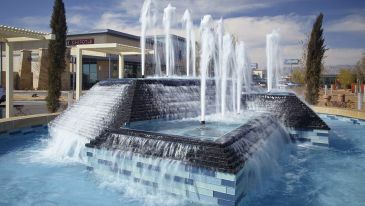 Five beautiful fountains ornament the Promenade level of the center. 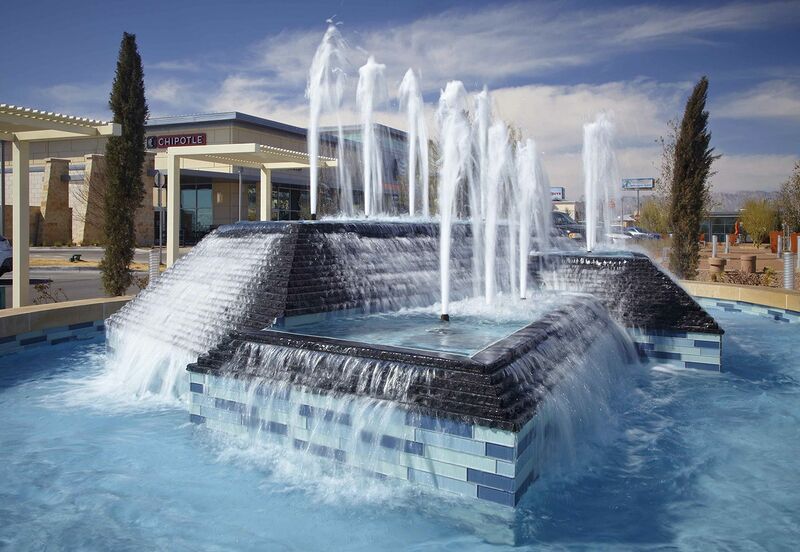 These amenities bring a new feel to the El Paso shopping experience. 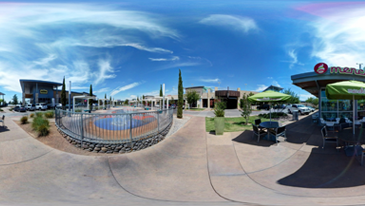 The Fountains' Splash Pad runs daily for little ones to enjoy. 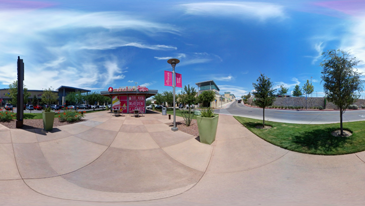 The Promenade is the lower level of the center and offers a wide array of recreational opportunities. 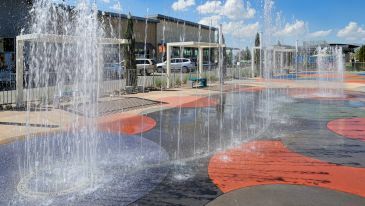 This area includes a main event pavillion, fountains accented with benches and patio furniture, an arts festival lawn, and an interactive children’s fountain. Intended for multicultural events including music, film, theater, and dance, the Pavilion serves as a unique entertainment venue in the heart of the Promenade level. Our online calendar is updated regularly with dates and times of upcoming events. The Fountains at Farah state-of-the art technology enhances your shopping experience by providing up-to-date information about the latest offers and specials and efficiently convey messages through our LED billboards. Centerwide Wi-Fi is available to all patrons, courtesy of The Fountains. Coming Soon: Interactive, digital directories. 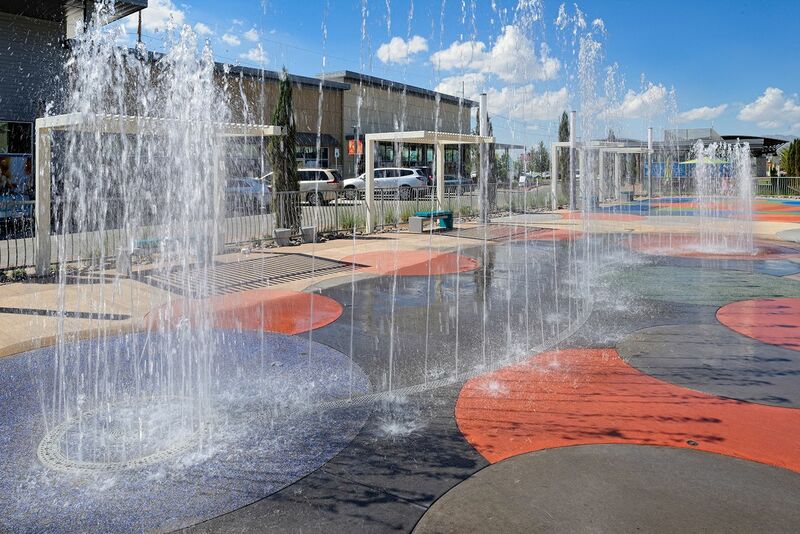 On weekends, The Fountains at Farah trolley will provide free transportation for patrons from multiple stops throughout the Promenade and Boulevard levels. 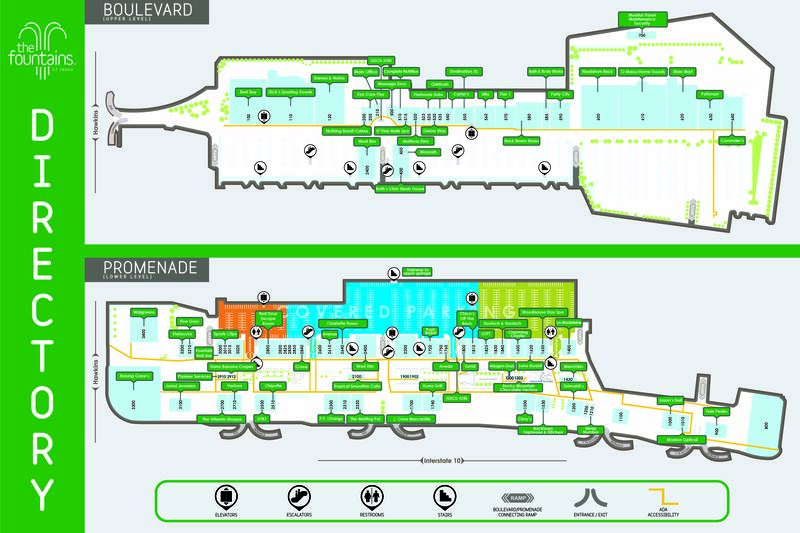 Hassle-free, numbered parking is accessible through the Promenade level, complete with escalators, elevators and stairs. 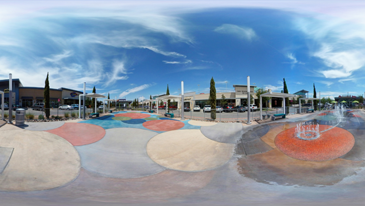 The Fountains at Farah offers innovative energy services for patrons who own electronic vehicles. 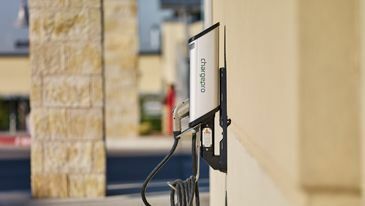 Electric car charging stations are located on the Boulevard area and in the covered garage in the Promenade area. 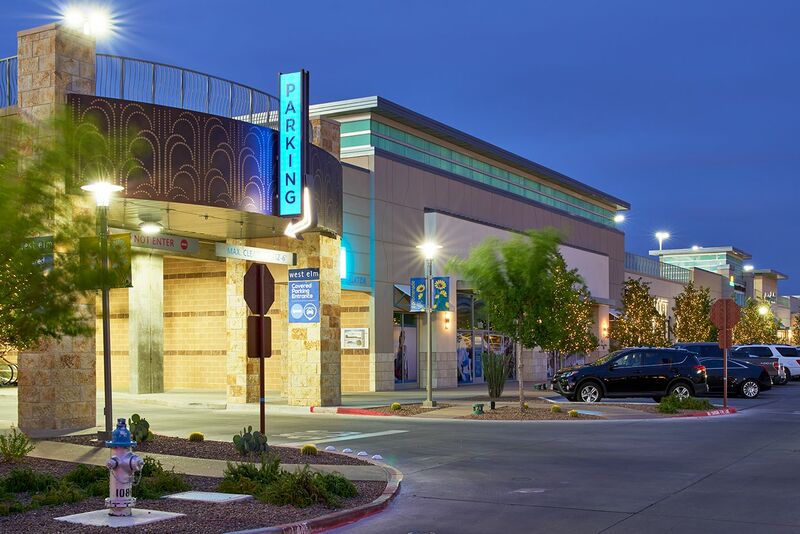 Hassle-free, numbered parking is accessible through the Promenade level, complete with escalators, elevators and stairs to our Boulevard (Upper Level).